It probably comes as no surprise to learn that women experience greater levels of stress in comparison to men during the holidays. The hustle and bustle of this time of year usually results in women acting as event planners, organizers, gift hunters, bakers, and entertainers (to name a few), on top of already hectic work and family responsibilities. It can be too much, and mama, if you’re feeling stressed out, you are not alone. In a survey conducted by the American Psychological Association, 44% of women reported greater stress than men, and 69 % felt stressed out by a lack of time and money during the holiday season. It’s no wonder the survey also found that women find it hard to relax! But, there is hope for the holidays! Here are a few practical tips you can implement starting, right now, to manage your stress, and actually, dare I say, relax! 1. Check-in with Yourself. What do you Feel and what do you Need? Take a moment to check-in with yourself. Are you feeling anxious, excited, or both? By labeling feelings we can also access our needs. If were feeling stressed or anxious, it’s a sign that we need support, and need to implement more self-care. If angry, it may be a sign that our boundaries have not been honored or we are not honoring our own limitations. Getting in the practice of taking a daily inventory of your emotions and needs can really help you navigate the holidays by putting the focus back on you. This in itself is a self-care strategy! If something is going on in your life that is particularly stressful, (e.g., new motherhood, a death in the family, a loss of a job), it’s important to recognize that you may need extra support during this time of year. 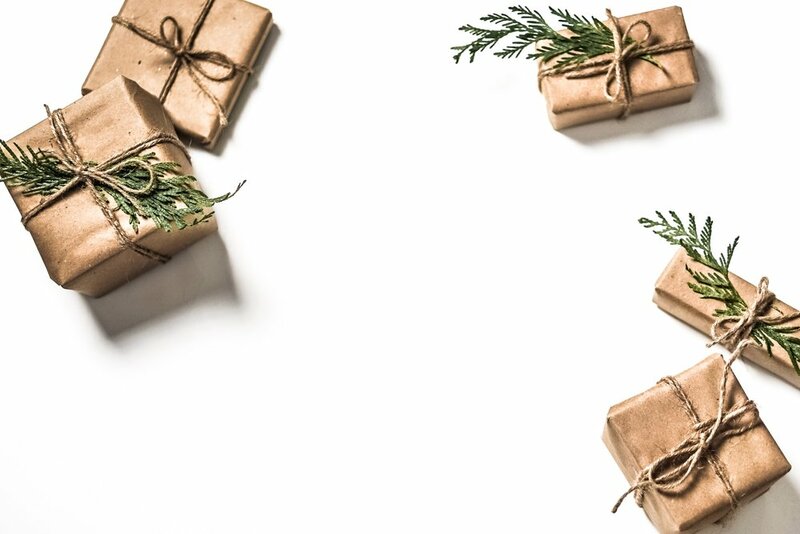 Sometimes women will feel the pressure to spread the holiday cheer, and often will think that something is “wrong with them,” if they can’t fulfill this role. It’s important to recognize that this year in particular, you are in a season of receiving instead of giving. There will be many other holiday seasons, but there is only one you. Once you’ve taken your emotional and needs inventory, get in the practice of asking for help. Who are the people in your life you can rely on to support you in ways you need? For instance, you don’t have to cook every dish, or take on all the responsibilities of home decor. Have others help you, and be very specific in the ways you ask for help, especially with your partners. Don’t’ assume they should know how to help you. Explain in detail. Creating a financial budget can really curb overspending and manage impulses to buy when bombarded with so called holiday deals. Have a clear number in mind in terms of how much you want to spend on presents, food, and holiday gear, etc. This can really help manage financial anxiety. Also, figure out if there are family or friend groups in your life that are okay with Secret Santa – why buy everyone a gift, if you can buy one, plus it’s fun! Or, if you’re unlike me, and creative, home-made gifts are thoughtful and just fine. 4. Budget your Time - It’s not about Quantity, but Quality. We never really think about how we can mindfully budget our time. It’s okay to draw boundaries for ourselves and our kids, and not attend every event. Children are oftentimes over-scheduled also during this time of year, so saying NO to a couple events can really help you and your family enjoy some quality time with each other. Don’t forget to include time for you, and if this seems impossible, it’s a sign that you are overstretched. You can make time for something relaxing, and enjoyable such as reading a good book, going to the spa, taking a bubble bath-whatever brings you peace and joy. If you are finding yourself trying to live up to an image you have of how the holidays should be, and in perfect mama mode, this is a definite recipe for anxiety. The holidays don’t have to be picture perfect, and oftentimes if they are, you end up paying a hefty price. Recognize that perfectionism is problematic, and set more realistic holiday goals, and try listing to the many ways you are enough. This should help curb the need for perfectionism! Say This, Not That: How to Support the NICU Mom in Your Life. One in ten babies will be born premature, which means that one in ten moms, and families, will spend time in the Neonatal Intensive Care Unit (NICU). While well meaning, people oftentimes will attempt to manage their own discomfort by finding the silver lining. When we focus on the positive without also embracing uncomfortable truths (e.g., we don’t know if things will be okay), and feelings (fear, anger, sadness, to name a few), we do moms a disservice. Moms begin to feel alone in their struggles, and as though they cannot receive the support they may need. The below is a guide on ways you can navigate a vulnerable situation and create emotional space for a mom to feel supported by you. This statement should be repeated throughout the course of the NICU stay, and if baby comes home. You are letting her know that she can reach out to you when she is ready without pressuring her to share feelings/thoughts that she may not want to discuss. Many NICU families continue to struggle if they bring baby home as this transition is often frought with fear, exhaustion and worry about baby's health. So keep reminding her that you are there for her whenever she is ready. This may be true, but minimizes the entirety of a moms experience in the NICU. These moms are in a shared space with many babies and families who may be fighting for their lives. You have no idea what this mom and family witnesses or experiences during the time they spend at the NICU. You also don’t know what the outcome of their NICU stay will be. Things rapidly change during a mom’s NICU stay, and each day is unpredictable. Check-in with her about how she’s doing and how the baby is doing. You never know what each day may bring. Well, we hope so, but you don’t know that this will actually happen. It's okay to not know, and sitting in the unknown can be tough. Instead, check-in with yourself, and be curious about why you want to predict the future. Can it be that you are trying to manage your own feelings of discomfort? Is the above statement more for you then it is for mom? Watching loved ones experience a premature birth can bring up many feelings and thoughts. Make sure you take care of yourself so that you can be there in ways that matter for the moms in the NICU in your life. Be proactive. Moms are usually trying to spend as much time at the NICU as possible so rides may be necessary especially if partner goes back to work. Home-cooked meals are great for the same reason, and can be extra helpful for moms who may have other children at home. Household chores need to get done as well. Of-course, honor boundaries, and always check-in with the mom first. Don’t place the responsibility on the mom to identify ways in which you can be helpful. Moms are overwhelmed, and may not be able to let you know how to help in the moment. Also, your offer to help may have been some time ago when she was not ready to accept your help. She may feel as though too much time has passed, and the offer no longer stands. Guilt is a very common feeling among moms in the NICU who will blame themselves for their babies being born too soon. Some share that their “bodies” failed them while others wonder if they did “something wrong” during their pregnancy to cause the pre-term birth. Making this statement helps acknowledge the fact that they did nothing wrong. Actually, let’s do all women a favor, and not say this to any new moms. We don’t know her story, and what her mind/body/soul has been through. This is especially true of NICU moms who may be harboring guilt about their “bodies failing them.” A lot of women would loved to gain the weight and experience the third trimester. Your support of a mom in the NICU is invaluable. In the end, NICU moms will remember how you were able tolerate the unknown, and feelings of discomfort while being a source for strength and hope.